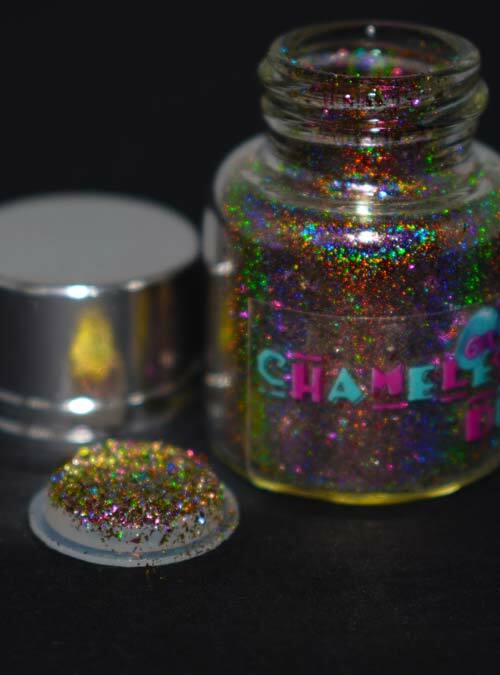 Halo is a holographic Chameleon flake with a stunning gold shimmer with purple and blue tones. 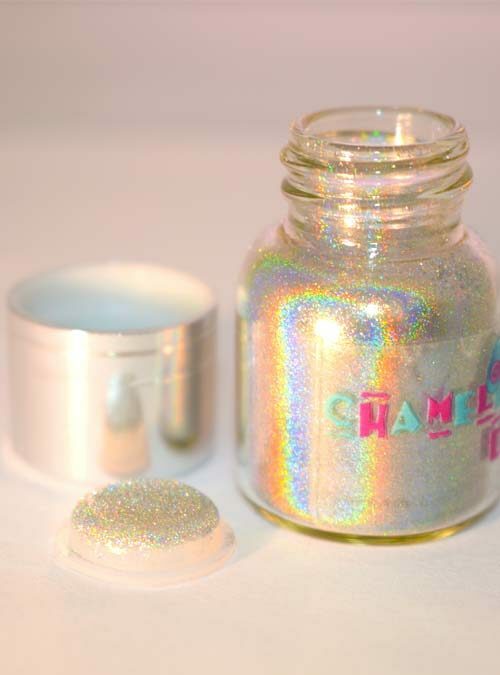 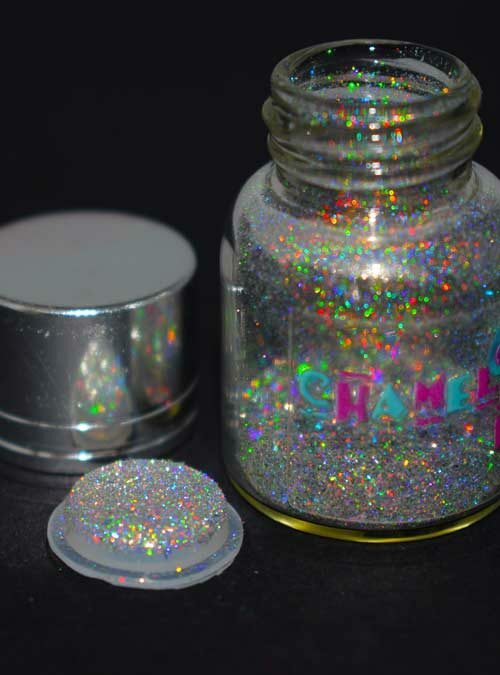 Halo is a holographic chameleon flake which is gorgeous when rubbed in on top of a no wipe top coat where the true holographic effect will be revealed. 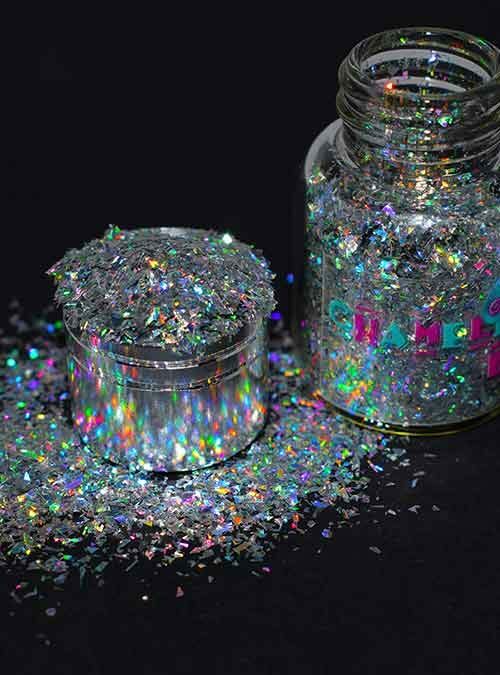 Halos colours are a gold with a purple and blue hue running through it.